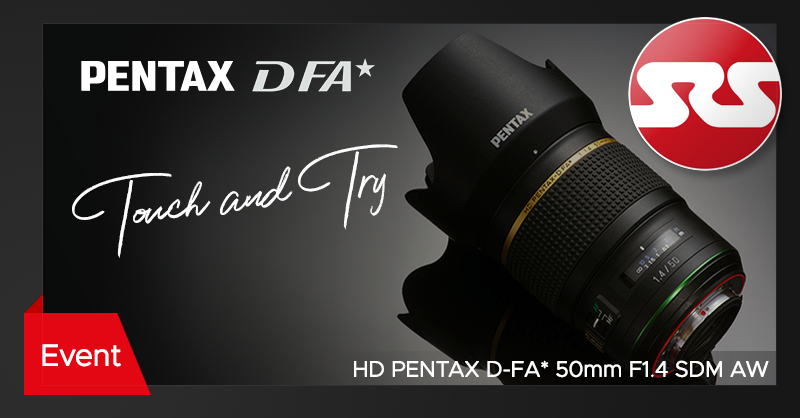 “Join us in store on July 26th August 10th to get your hands on the brand new HD PENTAX-D FA★ 50mm F1.4 SDM AW. We’ll have brand experts from PENTAX/RICOH here to answer all your questions, but if you cannot get in on that day, they will be streaming live on Facebook! 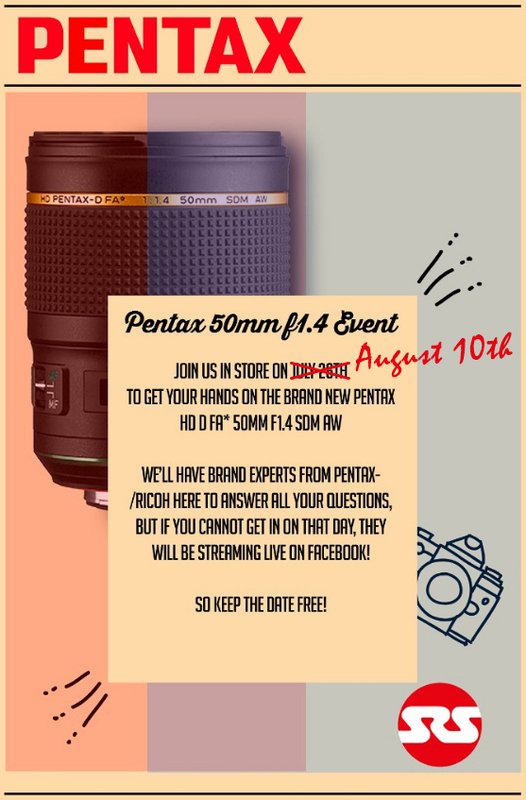 Facebook Event page: HD PENTAX-D FA★ 50mm F1.4 SDM AW Facebook Live event! Posted in D FA Lenses, D FA Prime Lenses, HD PENTAX-D FA★ 50mm F1.4 SDM AW, K-mount Lenses, Lenses, News.